If you have not heard of Casey Neitstat yet, go check him out and come back when your done, it might take awhile but it will be well worth it. The guy is a serious talent in the film and social media world, with his own unique style and technique to movie making. This short film by Tom Bryan is an outstanding example of what each of us should be doing with our creative work. Bryan has plans to create a short film each month for the next 12 and has started it off with a bang. With the help of a solid script, great scouting, and a few friends, he was able to pull off the majority of the shooting for the film in one long day. I have a lot of respect for filmmakers, as a designer by day and in more recent years a freelance photographer, I know how much work goes into the life of a creative. Movies and film are a totally different beast, as I have found out in starting my own YouTube channel to document both personal and professional aspects of my life. Props to you Bryan, I can't wait to see the next in the series of shorts. Be sure to check out the behind the scenes video below as well, he goes through planning and issues as the shoot evolved. Agreed, just got stuck in the rabbit hole that was YouTube and found this gem posted this week. Really love the way it was put together and the BTS is really a fun look into how a fast paced prodcution can get done with a day of hard work. I really like the message this video delivers. I agree, since Casey has blown up in popularity there have been more and more people imitating his style instead of finding their own. I know I did the same thing when I started my Youtube page and looked around for inspiration, and he always came to mind. However, like Bryan says filmmaking shouldn't be a solo endeavor. It's always about working and connecting with your crew, at least for me that's always been the best part. So very true. I am so new to this I have easily got stuck in adopting others styles. Just working at getting content out there and building my own image like I did on IG. Slowly but surely I will get there. Great stuff here. 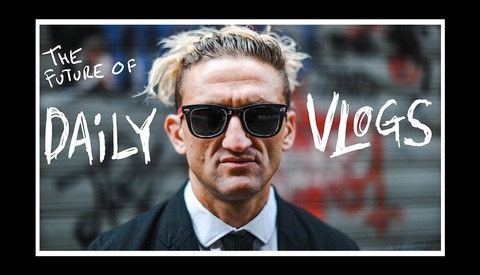 Honestly just heard of Casey Neistat for the first time today from the Sara Dietschy article. I enjoyed the video and great message. Be inspired by others, learn from others, but find your own voice. Casey is pretty great. Sara is kinda the same style of vlogger but she drops some serious knowledge on you in some in between episodes chatting with the camera. Very well done and a message that needed to be told. He's reached such success that he has amassed a cult-like following with too many people copying his style. It's a quick turnoff for me. What amazes me about Casey Neistat is that he makes a new one every single day, most of it by himself. To produce such an absorbing video every day, with the production quality he consistently provides, is extraordinary. It's interesting that a whole production team with obviously a much bigger budget and oodles more time and resources made this video, and we agree it's "almost" as good at what Niestat makes every single day. With all those resources, it should be *way* better! So, although it's an excellent video, it really is testament to how talented Casey Niestat is, on many levels. Both of you guys nailed it! Austin, it is better than a Casey vlog and reminds me of what he used to create in his short movies. He is far more lifestyle based with a loose message now than he used to be but I am still addicted to watching his stuff. Simon, totally agree this whole production looked intense for a short film yet it still sits on par with what casey gets across in his daily stuff. Wild! I enormously respect casey's abilities and I'd love to be able to produce the sheer amount of quality work he puts out but I find his lifestyle videos annoying. I've tried to watch them but ended up unsubscribing from his channel purely because of the content rather than his technical prowess. Sorry about that casey if you're reading this! GoPro Clearly Paid Neistat $$ or in other ways to do this review. I understand that hes has millions of followers but anytime a company lets a youtuber try out a "Prototype" aka finished product not out to consumers its clearly a marketing play because they can't do this with their own marketing. 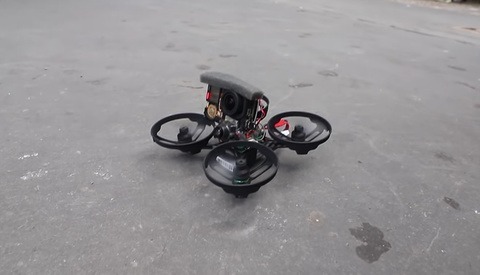 Its a smaller drone, cool, but you still need a GoPro, and its still GoPro quality. I would love to see some darker sunset images with it compared to a DJI Phantom.